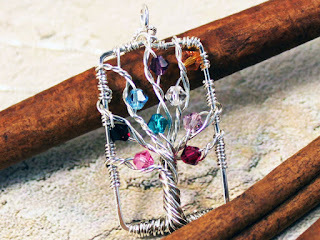 Vickie will be telling you in this lesson of how to create a mother's family tree using birthstone crystals. The birthstones can represent kids, grandkids, entire families - you name it. You will learn to create a frame for the tree and then place the tree inside the frame. Vickie also suggested for variation, you can use gemstone chips to make fuller trees. As usual, you will find a list of tools and materials are included!